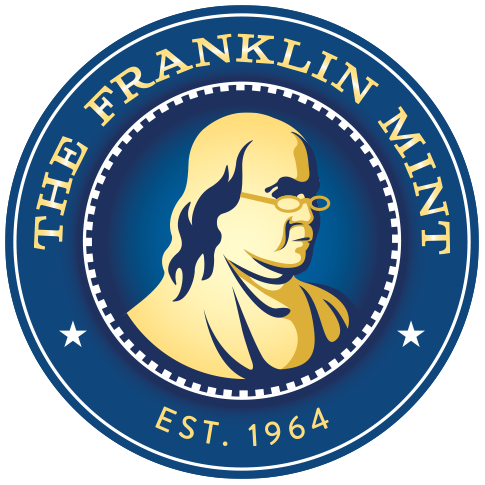 This collection features “emergency” coins that were issued by the U.S. Mint during World War II. At the start of the war, U.S. currency underwent radical changes in response to the military demands for metals such as copper and nickel for use in airplanes, shell cases, etc. In 1943, the Penny was made in steel instead of copper. This is a one-year-only coin and the only steel coin in U.S. history. The collection includes 10 1943 Steel Pennies. The next year, Pennies were made with recycled copper from shell cases recovered from battlefields and ships around the world. These so-called “Shell Case Pennies” were made until 1946. The collection includes 20 1944-1946 Shell Case Pennies. 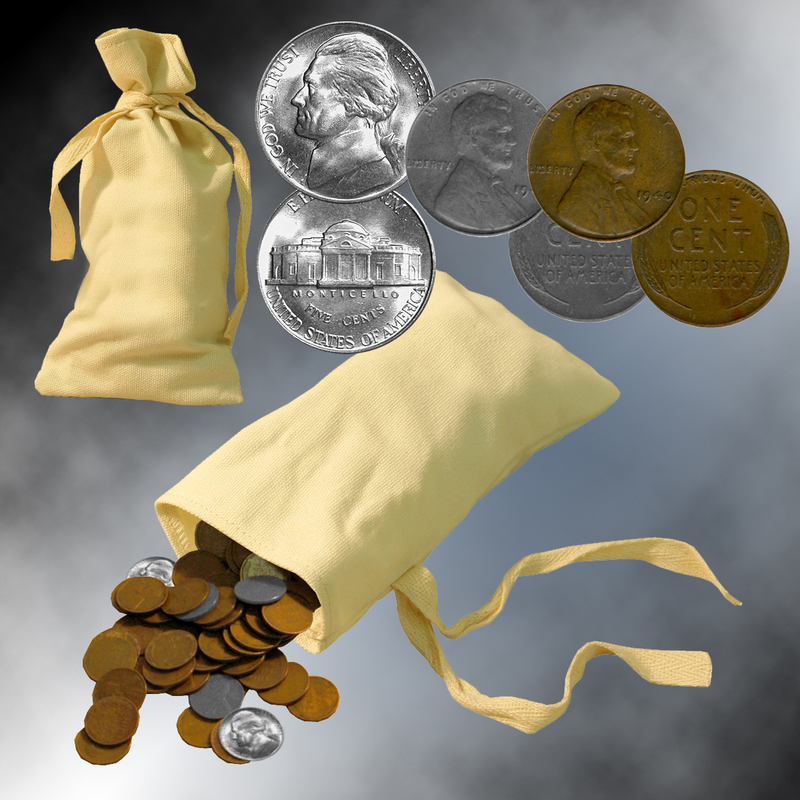 Starting in 1942, the Nickel was struck in 35% silver to save nickel for the war effort. These are the only silver Nickels in history, and the short-lived silver coins are identified by a large mint mark on the reverse, above Monticello (regular coins have the mint mark in a different location). Five 1942-1945 Silver Nickels complete the collection of “emergency” coins struck in different-than-usual metals in the World War II era.